One thing that I have used and will continue to use for my newborns is a boppy. I love it. It seriously is such a handy little pillow that can be used for so many things! I even use mine after baby is done with it has a nice back rest while I’m watching tv or reading a book in bed. 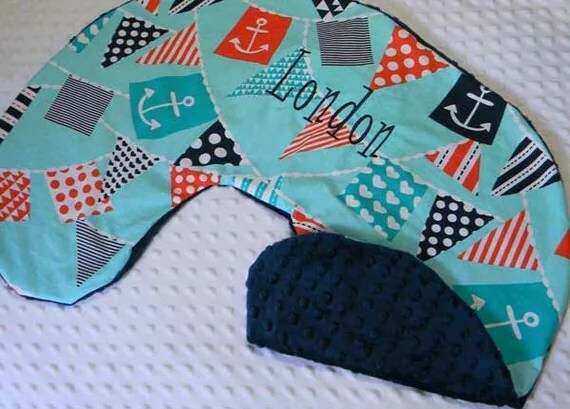 Little Loves Designs has started to create a line of nursing pillow covers, that are not only absolutely adorable, customizable, durable but also so easy to put on, and safe. Mandy, owner of little loves Designs, has designed her covers without a zipper. See the zipper on most nursing pillow covers have been known to be a choking hazard. Mandy has taken that hazard and thrown it right out the window! The video below is me, explaining and demonstrating how to put on the cover correcting and easily. Wouldn’t it be awesome if there was a handy little place to drop off your stroller after a major ice cream or sticky candy disaster to be cleaned and detailed? Or a place if you needed a quick repair to a tire or part on your stroller? Are you getting ready for another baby and need to clean up that stroller but don’t want to purchase a new one? Well there is just the place for all that! It’s called the Stroller Spa and it is located in a select few states in the US, there are 23 locations. In 2006 Jamie Mamikunian had the desire to customize a stroller for her own child. She shared her embellishments with other parents in the San Francisco Bay area. 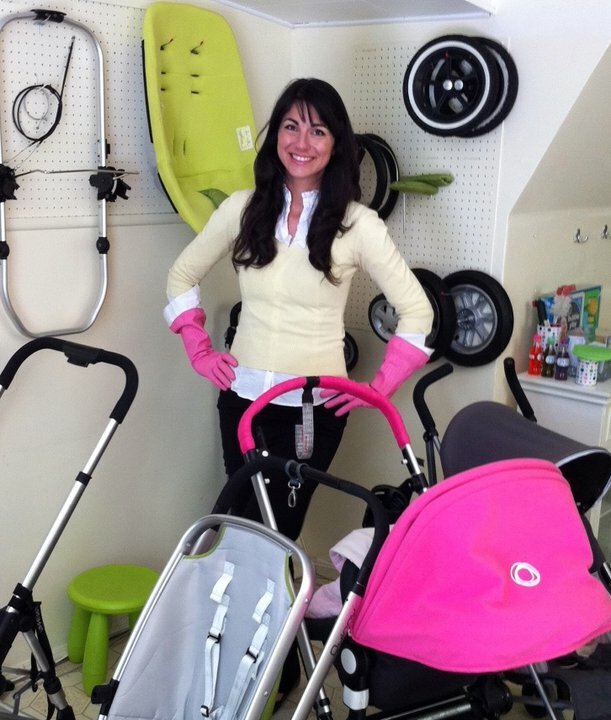 Mothers flocked to Jamie’s home not only customize their little ones’ sweet rides, but troubleshoot stroller problems – everything from broken brakes, bent chassis’, flat tires, torn fabric and more—Stroller Spa was born! 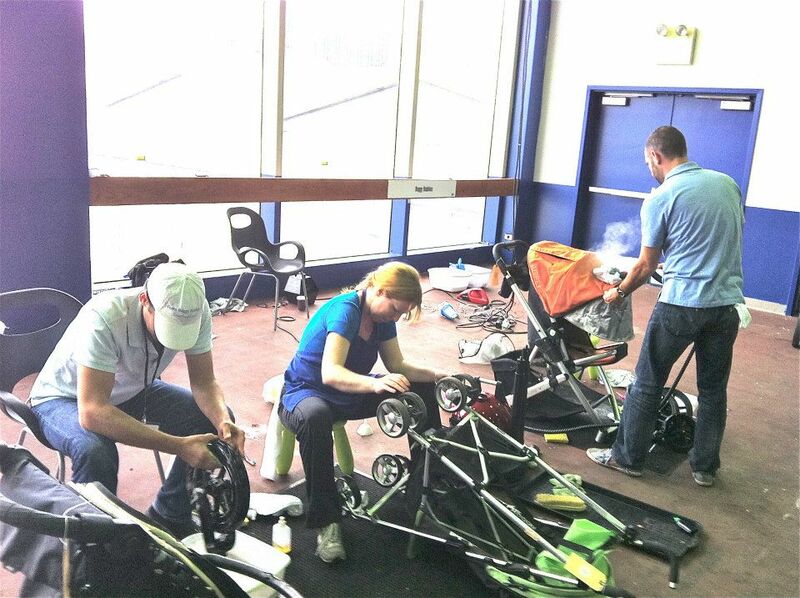 Stroller Spa then began cleaning and detailing strollers and car seats as more parents wanted a newly refurbished ride for their little ones, particularly subsequent children. To better meet the needs of their growing customer base, Stroller Spa soon added The Stroller Exchange, Rental Services, and Bubble Wrapped! – Baby Gear Storage Solutions programs. The costs at Stroller Spa vary slightly by location. Stroller detail services run between approximately $39.00 & $125.00 and stroller repair services run between approximately $50.00 & $100.00 for common repairs such as brake cables, broken frames. As an added bonus all shop owners will be Certified Child Passenger Safety Technicians by December, 2013. At no charge, with any car seat service, Stroller Spa will consult with parents and advise them on the safest choices based on the age and size of your child, type of vehicle, etc. I love that Jamie offers such an amazing and genius service to busy moms. I envy those who have access to such a great service close by. I know with 3 kids and one on the way this is definitely something I could use for our stroller and other baby gear we need to clean up and getting ready for use. Hillman baby # 4 is boy. We are pretty thrilled about this. I again, was right on the guess. That makes me 4 for 4! Hubs, well he has been wrong every time. We are super excited to be having another little guy to add to our family. Even things out a bit and give Ez a little buddy to play with. Now we get to the baby naming, we have been throwing names around a bit before we found out what the gender of this cute little bub was, had a for sure boy name and had a good list of girl names. But now we know we threw the original name out the window and re wrote our list. I think we are getting closer and closer to choosing but we have been adding and removing names from the list for the last few weeks. Naming a baby is hard, I have always known this. But with our first 2 kidlets I felt like it came super easy to us. We had names we loved, we used them and that was that. Now and since I was pregnant with Josephine we had problems with deciding and sticking with that choice, so now we decided we will have lists throughout the whole pregnancy and then name him when we see him. Although this was my idea, I’m feeling a bit eager to just choose. But I get bored easily and I don’t want to get bored with the name and then have to go back to searching and compile a new list. We like different names, not weird crazy, not “they named their baby WHAT?” names, but underused names with a little flair. Not trendy, not too out there, nothing fruit inspired and we definitely won’t be using our babies name for a punch line or anything. North…? NORTH WEST anyone? I mean who does that…oh that’s right. The worlds most self involved celebs out there! That’s like us naming our baby Climb A. Hillman. Oy. We aren’t sharing any of the names we have had on our list and will not be sharing the name until birth, that is if I ever actually choose a name! Feel free to share any and all your favorite boy names in the comments. We could always use the inspiration.